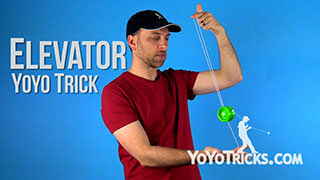 The Elevator Yoyo TrickIn this video, I am going to teach you the elevator, and it looks like this. Now as you can see, the elevator is a pretty neat trick. But, it is actually not to difficult as long as you have a powerful sleeper. So I am going to give you a couple of tips to make it look good and to get it down just right. So, the first thing that you are going to do when you want to practice this trick is you are going to get a sleeper as good as you can. Then you are going to put your opposite hand in between the string and you. You are going to push right into the string. 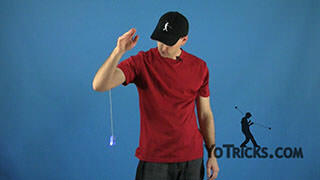 Then you are going to lift the yoyo up and you want to put it on the string just above your yoyo finger. Then all you are going to do to make the yoyo climb the string is you are just going to pull your hands apart. 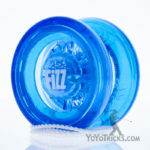 You can see that makes the yoyo go up. When it gets to the top, you just toss the yoyo up and if it has got enough spin, it should wind up and go right back into your hand. Now, when you are doing this trick, especially for somebody who has never seen this trick before, one thing that you want to avoid is, as you are doing the trick, you do not want the yoyo to be bouncing off the string as it goes up because that really kills the effect. 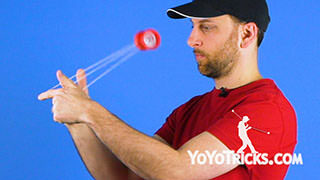 If you can keep the yoyo on the string, then sometimes it looks kind of mysterious, like, how is is climbing the string. You know you are just separating your hands, but it could be pretty cool to somebody who has never seen it before. To make sure that the yoyo does not bounce off the string, the easiest way is to just make sure that your yoyo hand is slightly in front of your top hand. That way it will not bounce as it goes up. Now, when you start to do the trick that way, that might cause you some other problems. 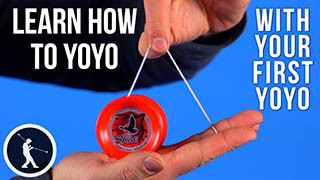 It might actually cause the yoyo to twist and turn a little bit. It might even kill the spin. The reason that that happens is because your hands are not straight up and down. 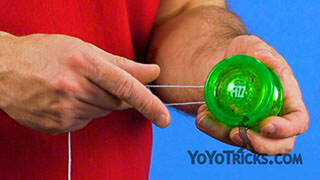 As long as your hands are straight and the string is barely touching the side of the yoyo, it will just spin true. 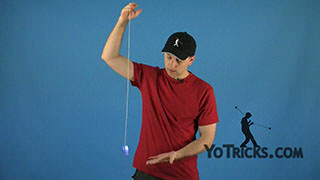 But as soon as you start to get your hands so that they are not perfectly vertical, then the string is going to push into the side of the yoyo and that causes it to twist and turn a little bit. So if that problem is happening to you, just be really conscious and really focus on keeping your hands straight up and down as you pull them apart. That will make the trick work a lot better. 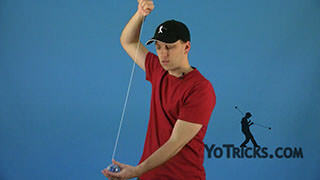 Now, this trick leads into other more difficult string tricks like the Braintwister. 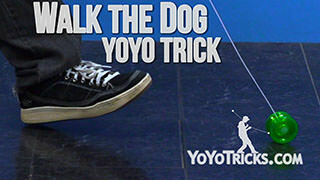 But this is kind of an easy way to get started and so we think it is a great trick to learn. And that is the Elevator.